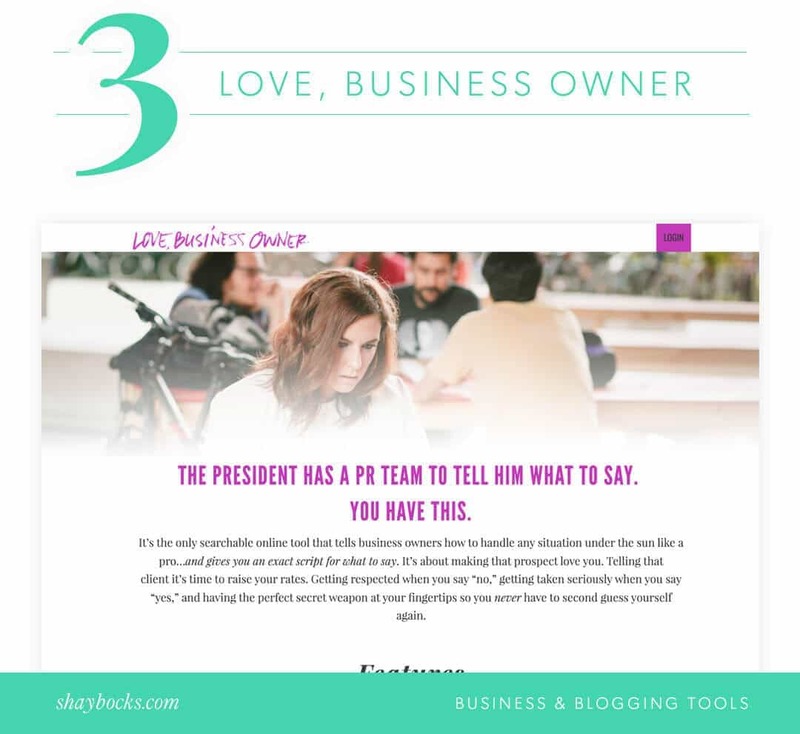 9 Business and Blogging Tools You Should Know (and Love!) - Feast Design Co.
You’re busy. Believe me, nobody can sympathize with that more than me. There are far too many times when I feel like I’m juggling eight bowling balls with one arm tied behind my back—and I’m blindfolded and those bowling balls are also on fire. Yes, life really does get that crazy at times. Let’s face it—no matter how much you love and adore your blog or business, it still takes a pretty big chunk of your time and attention. There are tons of great tools and resources that can help you to save precious time. Luckily, in today’s digital age, there are tons of great tools and resources that can help you to save precious time, increase productivity, and be an all around better blogger and business owner (and far saner person)! Curious? I’ve rounded up a few of my absolute favorite tricks of the trade just for you. Because, when you’re trying to master that whole blindfolded fire-juggling routine, you need all the help you can get. I love sharing on social media. But if I had to login to each of my accounts every single time I wanted to post something, I know I would inevitably be sucked into scrolling through my newsfeeds and wasting minutes—or even hours—on everything from photos of my friends’ vacations to videos of puppies trying to howl for the first time (really though, aren’t those the cutest?). 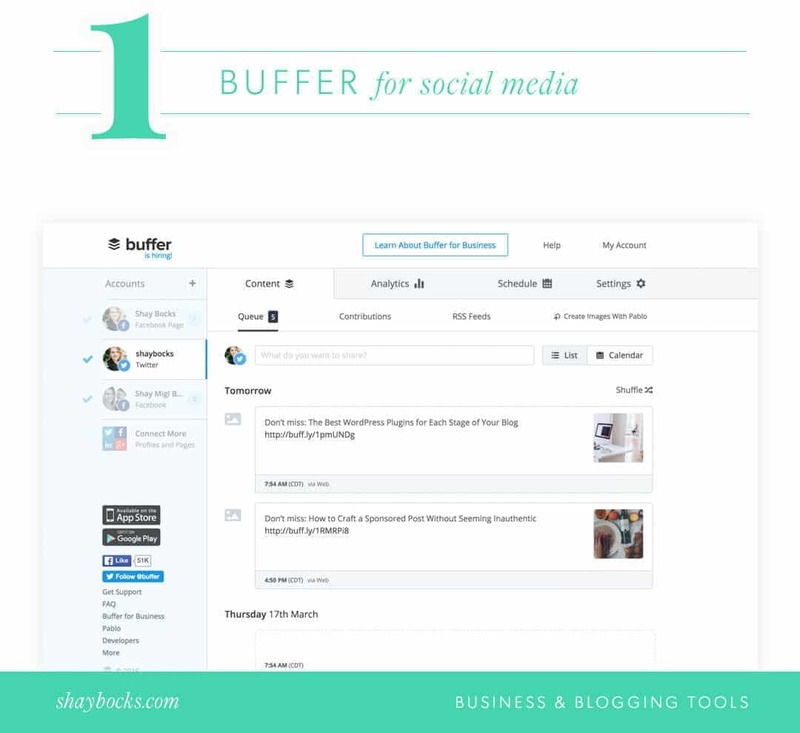 It’s for this very reason that I love Buffer. If you’re unfamiliar, it’s a dashboard you can use to schedule out your social media posts—without ever visiting those actual networks. Simply link up your accounts, queue up your posts, and stop worrying about it! I also recently discovered BulkBuffer. 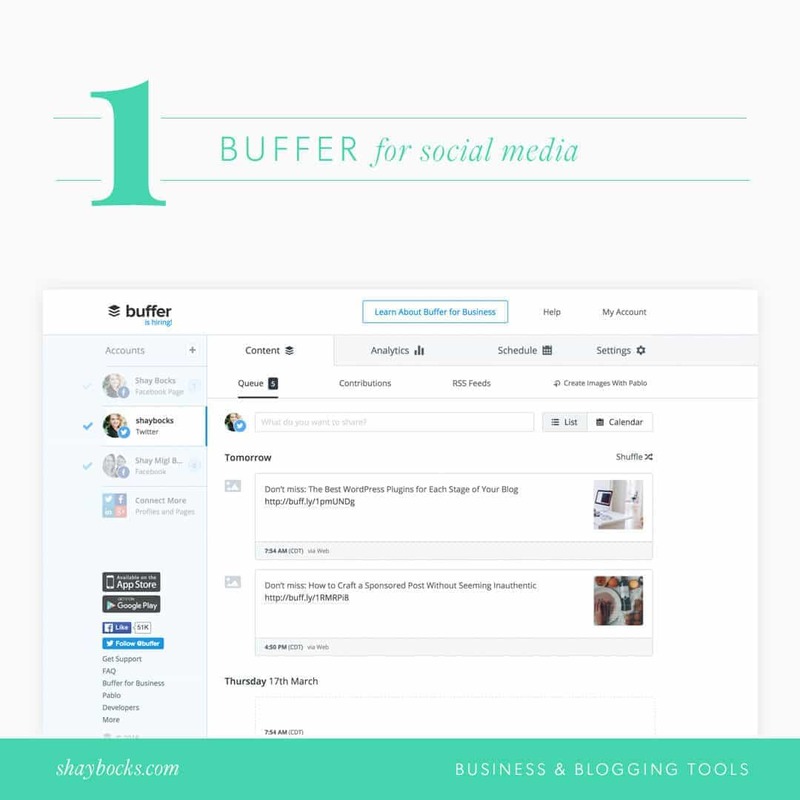 While not directly affiliated with Buffer themselves, BulkBuffer allows you to enter numerous updates at a time by simply uploading a spreadsheet. Pretty slick and efficient, right? Email can be completely overwhelming. Honestly, there are days when I’ve spent hours doing nothing but cleaning through my inbox—days when going back to that old carrier pigeon communication method almost seems preferable. 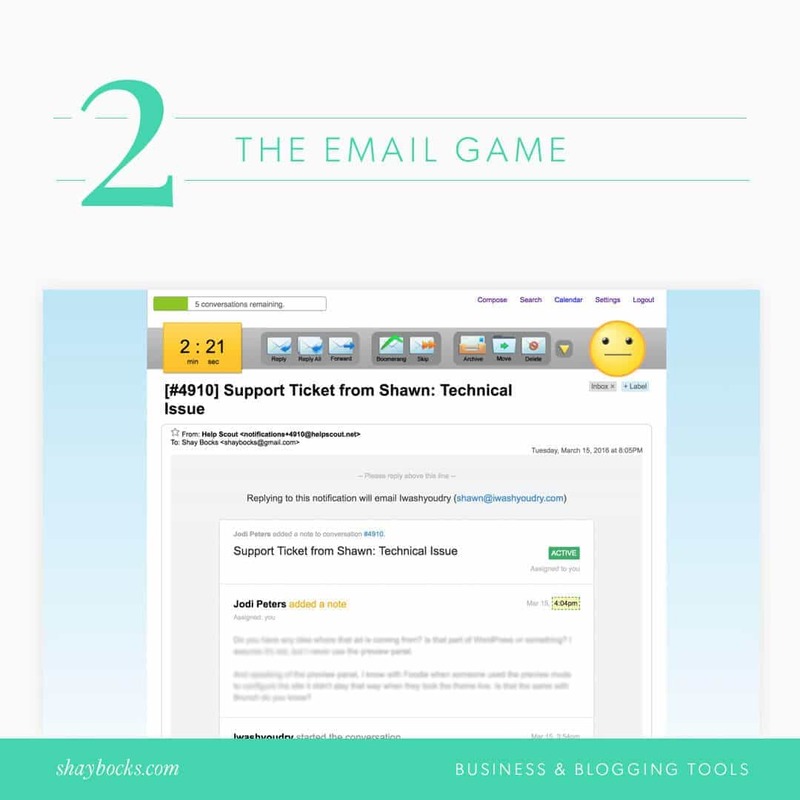 But, the Email Game not only makes the whole inbox-cleaning process faster, but also more fun! 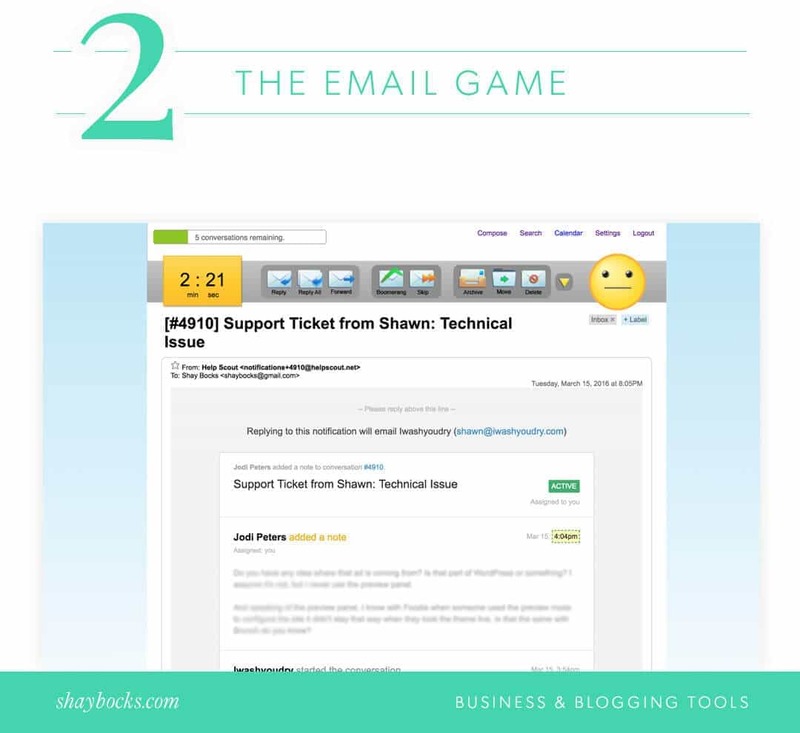 Basically, it works like this: you’re given a time limit to deal with each email. It’s usually around 30 seconds, but will be automatically extended for longer messages. In that amount of time, you have to do something with that particular message, whether it’s replying, deleting, archiving it for later, or selecting “Boomerang”—which will move it out of your inbox for now, but bump it back to the top at the time you requested. Like I said, it not only kicks your email productivity into high gear, but it also inspires you to finally tackle that unruly inbox—and even enjoy doing it. Have you ever been stuck in one of those awkward ordeals when you have absolutely no idea what to say? 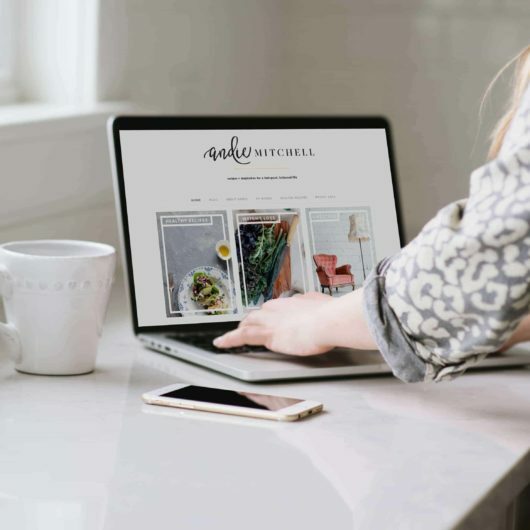 Whether it’s turning down a brand that wants to collaborate on your blog or letting a client know that their request doesn’t fit within your scope of work, we’ve all had to deal with those situations that leave us tongue tied. And, you definitely don’t want to be that person who can do nothing but sit there with your jaw on the floor while you try to scramble for the right words. That’s where Love, Business Owner comes in. Join this site, and you’ll have access to over 300 business scripts that will tell you exactly what to say when those circumstances come up. No more fumbling and tripping over your words! Is there anything more frustrating than not being able to get to that file you need? 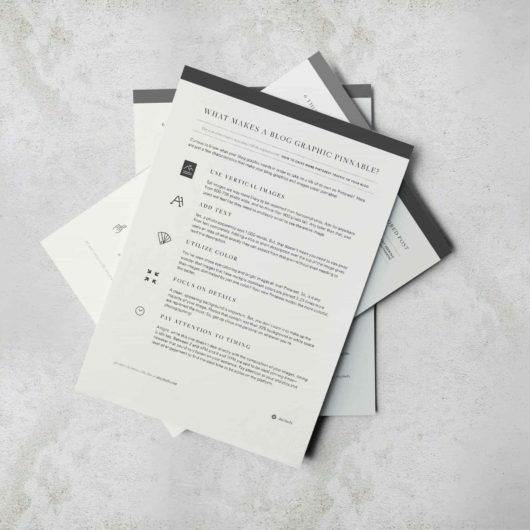 You’re working on your laptop in your favorite quiet coffee shop—but the document you need is at home on your desktop computer. OK, sure, there are probably many things that are more frustrating than this. But, this definitely deserves a slot somewhere near the top of the list. I’ve been in this situation far too many times, and it’s a surefire way to waste time. Luckily, Dropbox completely solves this problem. 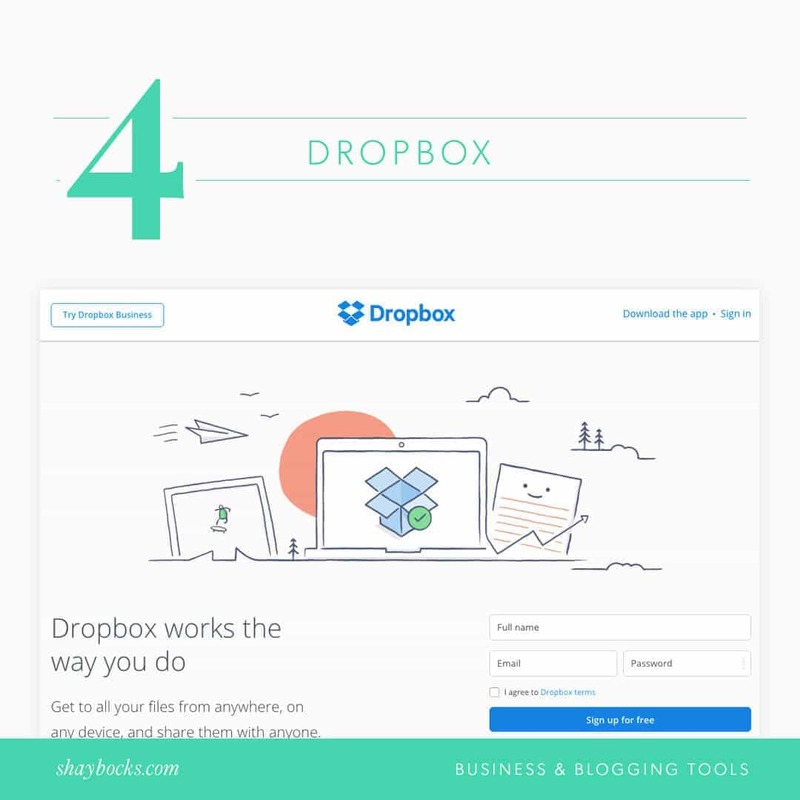 Put everything you need in your Dropbox, and you’ll be able to access it from anywhere—no matter what device you’re on. First and foremost, I’m a mom—which means my house isn’t always perfectly silent when I need to sit down and get some work done (in fact, if it is silent, I know trouble is happening mere footsteps away). So, it’s during those hectic times that Noisli and a pair of headphones become my lifesavers. 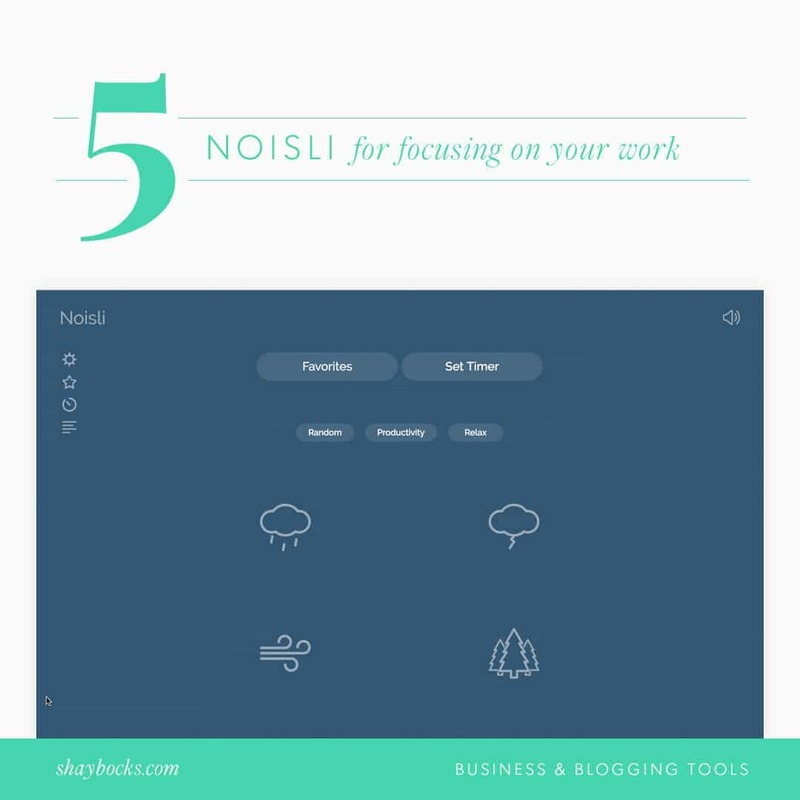 Using this tool, you can mix different sounds to help you tune out distractions, boost your focus, and get more done! I make an effort to keep my business as paperless as possible (I’m savin’ all sorts of trees, over here). But, that can definitely be challenging when I need a contract or agreement signed by a new client. HelloSign completely eliminates my need for paper by making it easy for both me and other parties to sign a document electronically. The signatures are legally binding, and it couldn’t be any simpler to use. I love being involved in all different aspects of my business—ahem, except for my bookkeeping. That’s something I’d just much rather leave to the professionals. As a matter of fact, I’d like to stay as far away from it as possible. This is exactly what Bench does for me. 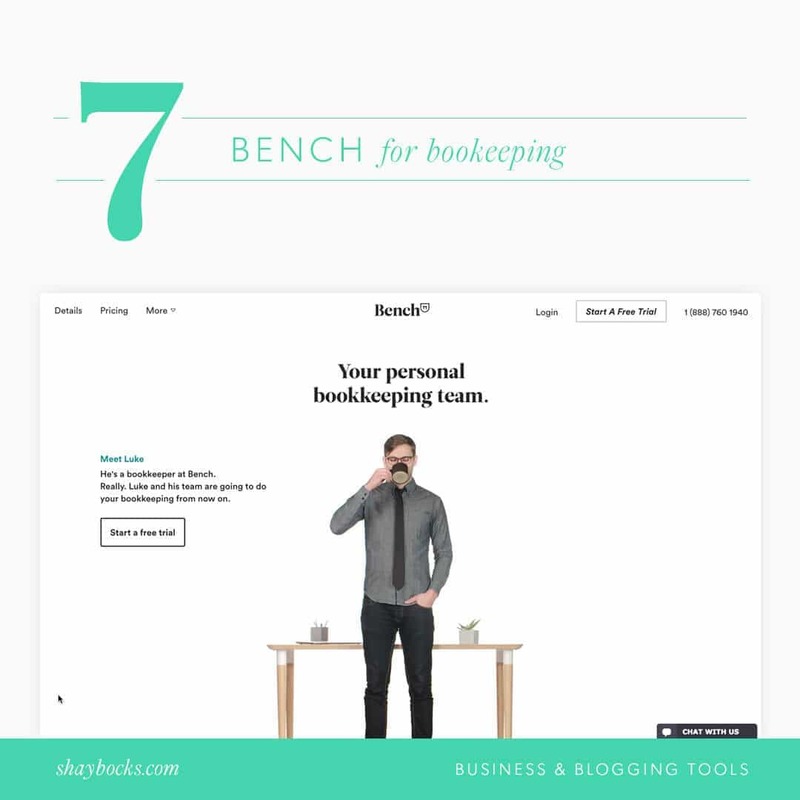 Think of it as your personal, online bookkeeping team. They’ll take all of your financial data and transform it into handy, easy-to-read reports. It can be a bit of an investment, starting at around $125 per month, but I think it’s well worth it. The less time I have to spend staring at spreadsheets (blegh), the more time I have to be creative! I think we’ve all had those moments when we’ve wished we had an assistant (or five!) on hand to take care of those pesky things we need crossed off our to-do lists. Well, Fancy Hands is exactly what you’ve been dreaming of. As a customer, you have access to their team of US-based assistants who will handle all of those lingering to-dos—including making appointments, booking travel plans, or even planning a wedding. In the interest of total honesty, this tool surprised me the most. I thought it’d be a total waste of time. But, after I signed up for the trial account, I found myself sending tasks left and right. And, so far, I haven’t been disappointed with the results. 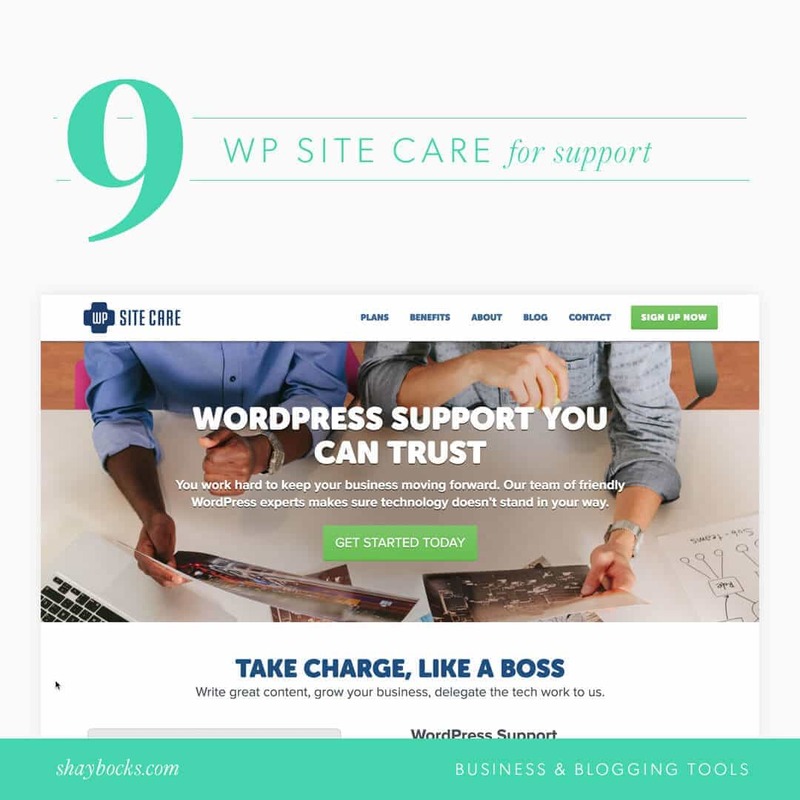 If you don’t consider yourself a whiz when it comes to managing your WordPress site, you’ll love WP Site Care. 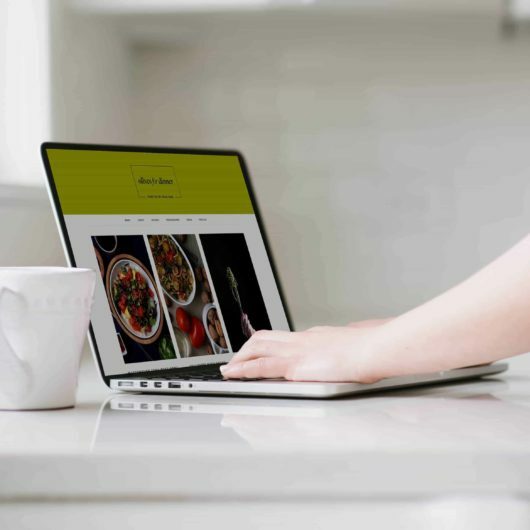 Whether you’re tearing your hair out over an error with a specific plugin or you need an update to your site, you’ll have a team of WordPress experts at your fingertips. Seriously, it’s like having a WordPress support person sitting right next to you—whenever you need them! So, let the experts take care of those tech issues so that you can take care of the fun stuff. When you’re running your own successful blog or booming business (or both! ), that flaming bowling ball juggling challenge can easily start to feel like your normal daily routine. However, you don’t have to go it alone—there’s a huge assortment of different resources that’ll help to lighten your load and take a few of those bowling balls out of your grasp. So, put these tools to work and get back to what matters most to you (which, I assume, isn’t juggling bowling balls). Want to save even more time each day? Check out my list of extra time-saving tips you can implement today.